What a drag. Sometime while we were running our errands, our rooster, Snowman, ventured over the six foot privacy fence and into the backyard with the dogs. Suffice to say he never made it out again. When I first saw the feathers scattered over the playground, I assumed it was another crazy hen who had given her life in a attempt to find safe place to lay her eggs. 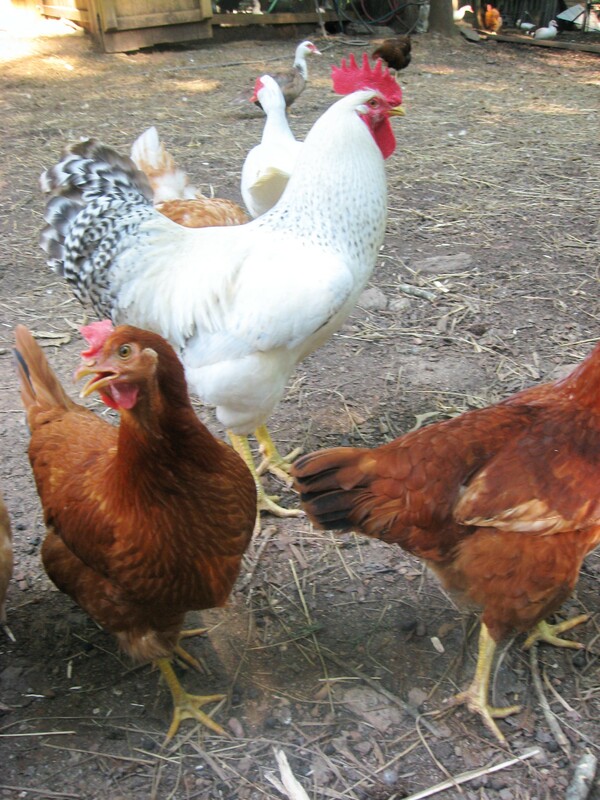 I mean, even risking the dogs’ wrath is better than having to use those private, comfortable, clean, and shavings-filled nest boxes attached to the coop. However, Little quickly pointed out that it was Snowman whose ventures had ended in disaster. “Look”, he said, pulling the severed head out from under the slide. “It was Snowman.” What a shame. He was a good rooster—a solid leader of the hens, confident enough to control extra males without brutalizing them, and disinclined to attack even the shortest child or a farmer bent over the feed cans in a most defenseless manner. Little closed Snowman’s unblinking eyes with his hand and asked if we should bury him or just toss his remains over the neighbor’s fence into the woods. Farm kids are just the right mix of respectable and practical about death, aren’t they? We settled on the pile of old Christmas trees along the property line for his final resting place. When the older kids got off the school bus, I handed them bags and asked them to get up the loose feathers in the backyard before coming in for snack. They sighed and got to work. Sometimes I wonder what the city kids do after school. Pretty noted that it was sad to lose Snowman but now Romeo would get a chance to be in charge. That’s true. 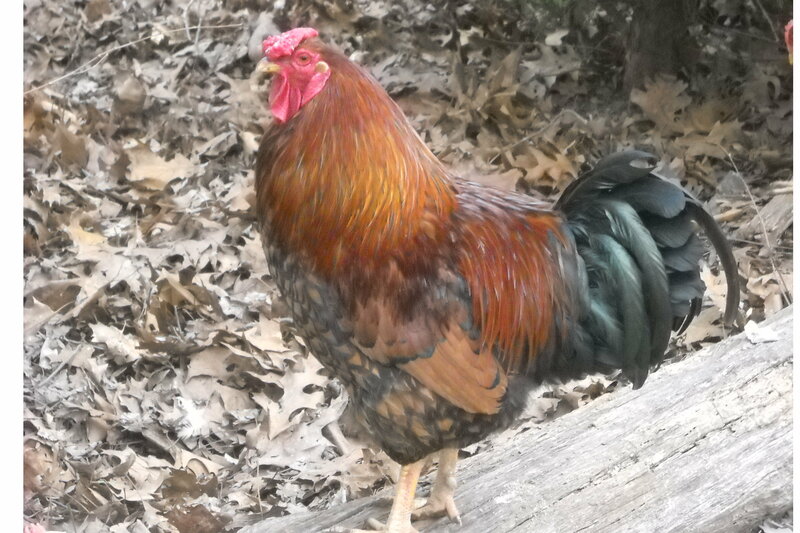 Romeo is the back-up rooster and has spent the last year cowering under Snowman’s command while sneaking quickies with the most licentious hens behind the woodpile. Of course, taking charge of the flock is kind of like moving up in the Mafia. Great benefits, but you’ll be the first one to take the hit. So, good bye, Snowman. Rest in Peace. And good luck, Romeo. Oh my gosh! I’m rolling on the floor with laughter! I really need to quit reading. I have my own chores to do, but bless you, I’m having such a good time reading your site. My Border Collie is beginning to question my sanity as I laugh out loud and read the funny parts to her.